One of the aims of the pilot project is to learn and refine the project, another is to help guide the next phases of the project. Data can help provide concrete information, both now and historically. Given the distributed geographic nature of the project and team, the limited facilities to gather data from the devices, etc. we are using a mix of low-tech and technical approaches to data gathering. 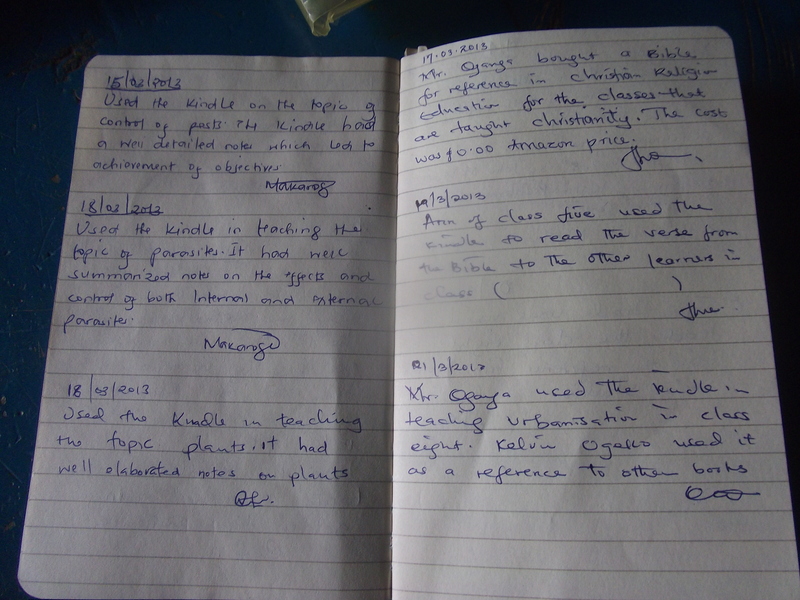 We have the permission of the schools and the team in Kenya to publish copies of their notes and reports. Low-tech data gathering includes handwritten notes in a small notebook. Each device has one of these notebooks. 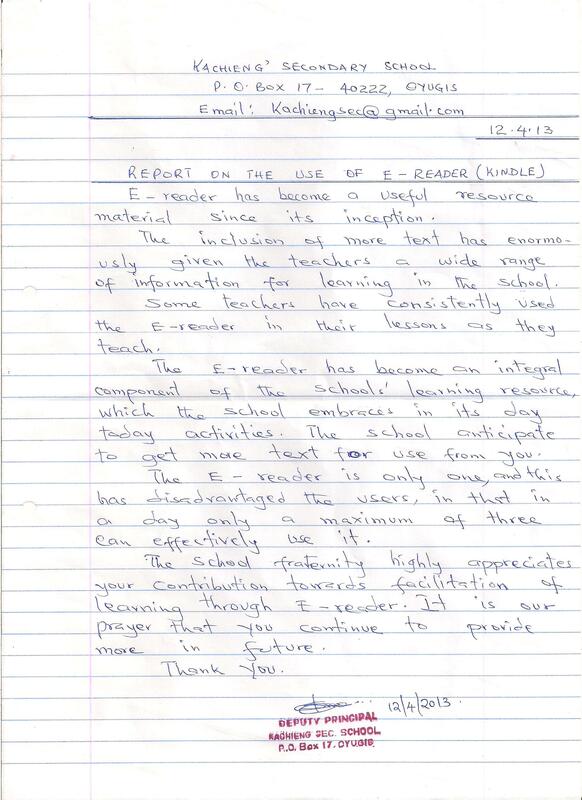 We asked the teachers to make a written note each time they use the eReader; while we acknowledge they may not always do so, we have already been encouraged by the relatively frequent notes they have made during the first two months of the pilot. Leonard also visits the schools and interviews the teachers quite frequently and we have received several formal reports from senior teaching staff e.g. headteachers. 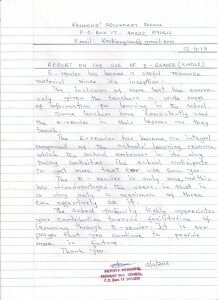 Here is an example of a short report from Kachieng Secondary School. They provide a good example of how an additional device would help their teaching. Previous PostInaugural Workshop – February 2013 – OyugisNext PostWhy focus on teachers?